In this article we’re going to discuss one of the least understood, yet most important, aspects of a great golf swing – where rotation comes from – and give you a great drill to learn to feel the correct movement. 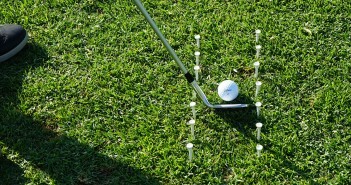 This will work wonders for your wedge play, and for your full swing too! Slicing the ball, insufficient club head speed through impact, the reverse pivot, loss of balance, poor or inconsistent ball striking… These and many more of the most damaging swing faults are rooted in a basic misunderstanding of how rotation works in the golf swing. It’s a golf “swing” right? 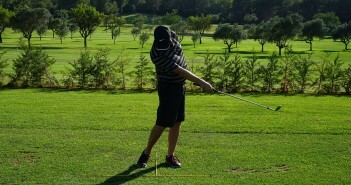 You just swing your arms and the club around your body to hit the ball, simple! Dead wrong! For many amateur golfers we meet, the simple lesson below is enough to transform their swings for the better immediately (sometimes in just one swing!) and set them on a course to astonishing improvement. 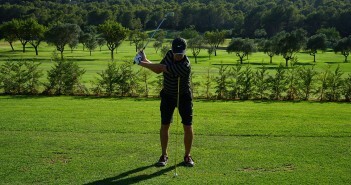 The concept of swinging the club around your body is an obvious one that most of us adopt intuitively from the first day we start to play this great game. It’s what most of us are taught by well-meaning friends and teachers, and it’s what we’re sure we can see great golfers doing when we watch them on TV. Yet what is intuitively obvious is grossly misleading! From day one, you’ve set out on a path of golfing frustration and mediocrity. As you get better, you might figure out (or be taught) that your hips drive your body rotation, not your shoulders. Things improve, but you still lack consistency. You can’t help “standing up” in the downswing as you thrust your hips forwards in an effort to spin them, your hips stall through impact and the club flips over, spraying the ball wildly around the park. 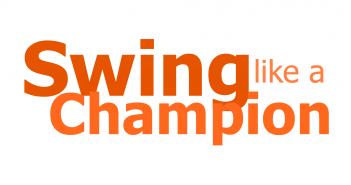 You try to “stay down” but that just makes your ball striking even less consistent and you lose power – to try and “stay down” is to completely misunderstand the golf swing. Or maybe you “spin out” of the shot, often leaving the golf club stuck behind you and having to try and rescue the shot with your hands. You can do this some of the time with great success, but nobody has enough coordination to do that every time. Your misses are a massive block out right or a lethal hook deep into trouble on the left. All of this because, from the beginning, you didn’t understand how rotation works in the golf swing. So Where Does Rotation Come From? …When you make this mistake, you are rotating from the wrong place. Your body rotation will stall, and your swing will be more “armsy” rather than powered by your body. This will shallow out your swing path and drop your swing centre backwards, and you’ll struggle to strike the ball consistently, often hitting fat and thin shots seemingly at random. 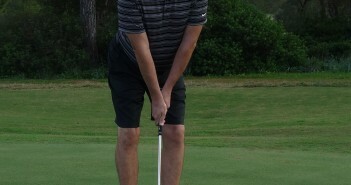 If, like most golfers, you aren’t currently creating rotation properly, you should find that your swing begins to improve dramatically after just a few minutes working on this drill. 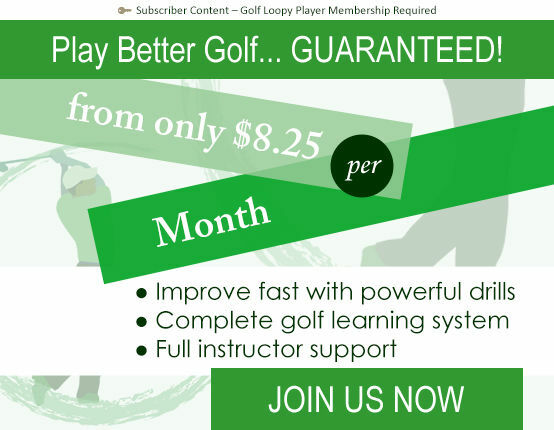 You will find that you quickly learn what a great golf swing really feels like, and you will begin to strike the ball better and more consistently than ever before. The final piece of this rotation puzzle is learning how to get your trail side through the ball, “covering the shot” through impact, which we’ll teach you next in Golf Wedge Play Drill 107 – Technique: Cover the Ball.